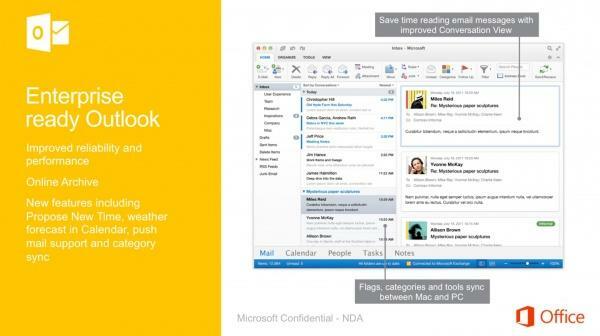 Turns out yesterday’s Outlook for Mac leak was just a small snippet of something larger. Chinese site CnBeta has come back with new information about Microsoft’s big Office for OS X update, including a supposed launch timeframe. 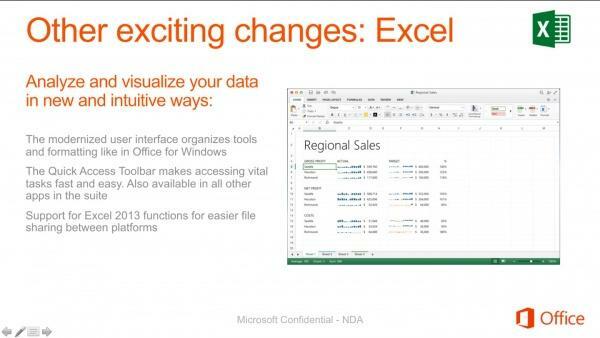 According to a series of slides, the new software suite is expected to launch early next year, which conflicts with rumblings we’ve heard before. 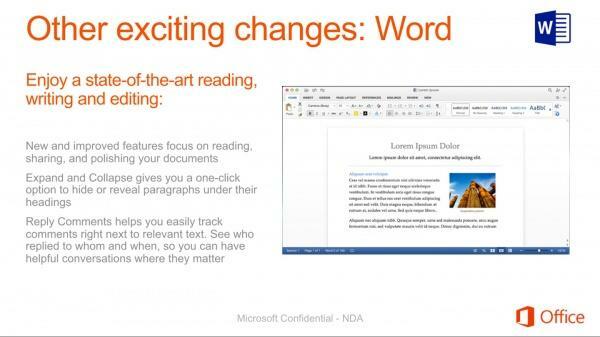 As we saw yesterday, one of the key areas Microsoft is focusing on with the update is a modernized look, similar to the experience on Windows, with full Retina support; that will apply to Microsoft’s full productivity suite, not just Outlook. 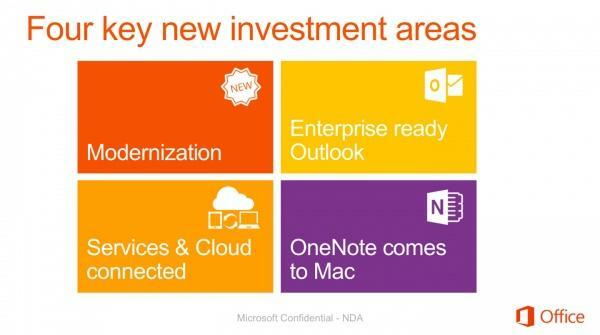 There are three other key areas: Enterprise ready Outlook, Services & Cloud connected, and OneNote for Mac. 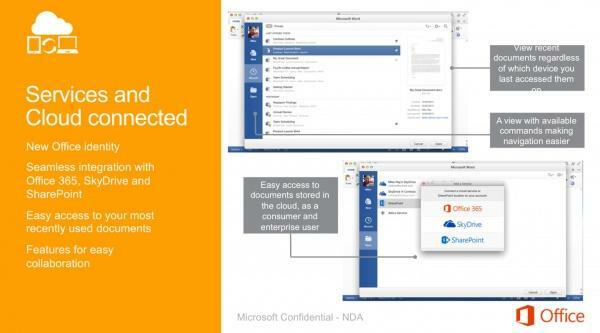 The slides themselves explain it all, but the overarching theme is to update the aesthetics while integrating it with the cloud. 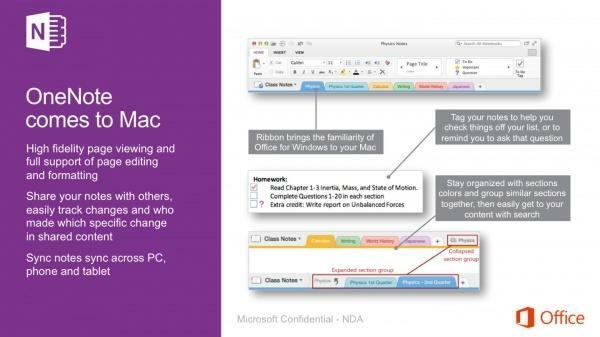 Outlook, as we saw yesterday, is seeing a major refresh, particularly for the enterprise crowd, while OneNote for Mac will allow users to easily sync across multiple devices. 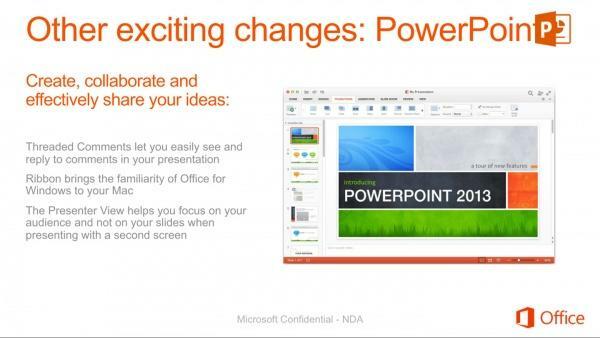 Excel, PowerPoint and Word will also receive some love, making all three applications much more powerful and more on a par with Microsoft’s preferred modernized look while still keeping the translucency introduced with OS X Yosemite. 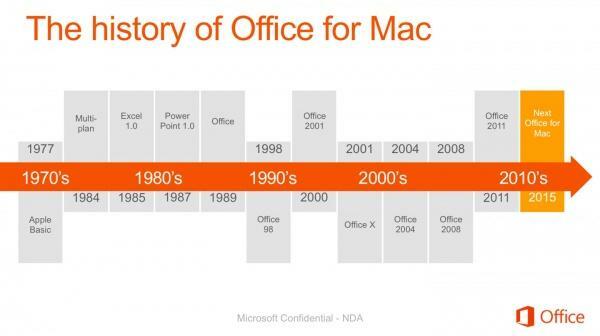 The last major update to Office for Mac was released back in 2010, so the suite is definitely overdue for some changes. 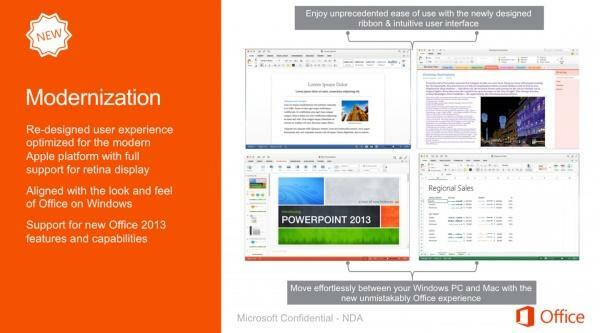 When the update does hit, however, it looks as though Office for Mac will be on a par with the Windows version, which is obviously great for consumers. Of course, you can always download Apple’s own suite of comparable apps, including Pages, Keynote and Numbers, for free.